In July 2010 global listed property stocks regained lost ground after returning 7.2%. This is the highest monthly gain so far in 2010.The Americas sub-index took the lead with 9.6% for the month. 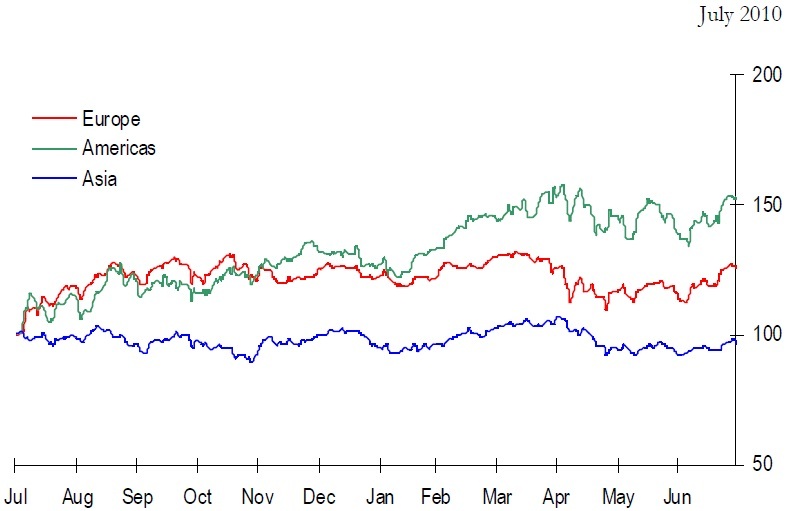 Propertyshares are still outperforming global equities (MSCI: 5.8% in july 2010). Year-to-date, GPR 250 Global has performed 5.7% (MSCI: -1.4%) and the 12-month return recorded no less than 25.9% (MSCI: 10.4%, for comparison).